On the day after her twelfth birthday, Anabel Bullen Randall went to the emergency department of Joondalup hospital after she fell on her head while dancing. Her head and neck were fine but an X-ray showed a curvature of her spine: Anabel had scoliosis. Two years later, she is the leader of the Perth chapter of curvygirls, an international scoliosis peer support group. According to Peter Woodland, one of three spinal surgeons who specialise in scoliosis in Western Australia, Anabel is among two to three per cent of Australian teenagers who suffer from scoliosis, 90 per cent of whom are girls. “Usually it comes on when girls are in the 11 to 13 year range and they suddenly become out of shape,” Dr Woodland said. Now 14, Anabel wears a Boston brace, a rigid piece of plastic she ties around her waist to hold her back in place and stop the curve becoming more pronounced. 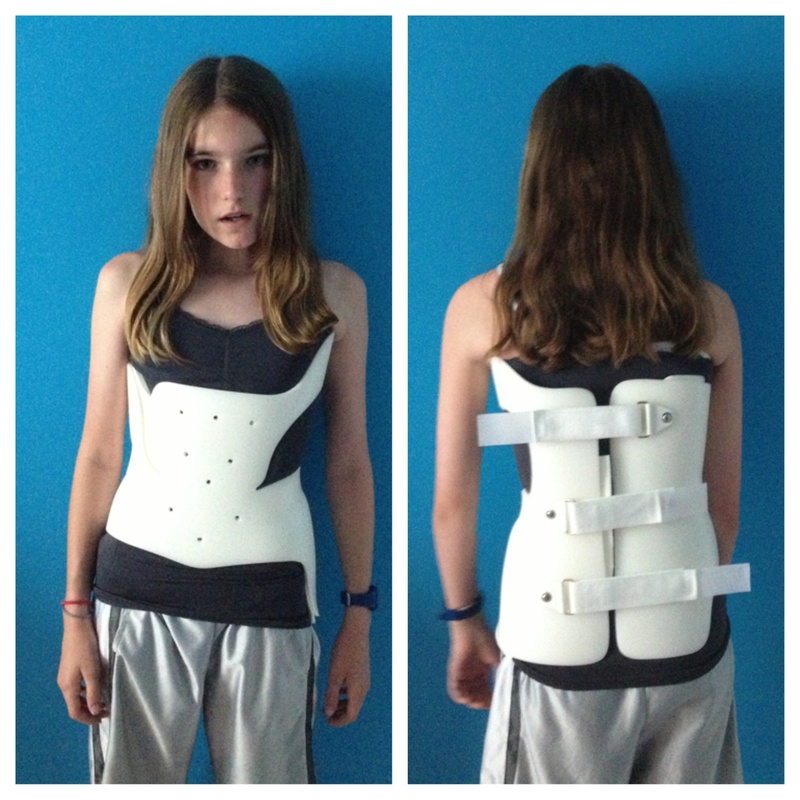 This is the standard treatment for scoliosis patients with a curve of 20 degrees or more, and they must wear the brace 22 hours a day until they stop growing. Dr Woodland said the brace had a 70 per cent success rate. “If the curve is more than 20 degrees, we consider bracing,” he said. As of January this year, Anabel’s curve was 65 degrees. “If my back keeps getting worse, which it is, it will be an option for me to get surgery,” Anabel said. Dr Woodland said the waiting list for surgery in Western Australia was probably the longest in the nation, upwards of 18 months where it should be about six months. “But we’re getting more theatre time at Royal Perth Hospital so we’re doubling our session time from this month on,” he said. Anabel’s mother, Bron Bullen, said there did not seem to be a lot of awareness about scoliosis. “Anabel was getting migraines and I took her to the doctor and nobody suggested it might be her neck,” Ms Bullen said. Anabel said she has checked her school friends for scoliosis because their parents had not, asking them to bend over to check if anything seemed out of place. Australian schools used to perform a screening, a method of detection that required the presence of a curve to be confirmed by a medical practitioner. According to Scoliosis Australia these programs have been “largely abandoned” due to “financial restraints”. The current plan is the National Self-Detection Program for Scoliosis by the Spine Society of Australia, which consists of a brochure sent to schools to help children determine if they have scoliosis. But Ms Bullen said it was up to the school whether they actually printed the brochure and handed it out. As the Perth leader for curvygirls, Anabel meets with a group of about 18 girls to help them with everyday challenges like trying not to stand out at school and managing the discomfort of the brace. “I’ve met girls that only got the brace a few weeks ago,” she said. She said some of the main challenges included discomfort, eczema and rashes where the brace brushed against the skin, overheating, and compression of her stomach that made it painful after she ate. Ms Bullen said a lot of girls were embarrassed and tried to hide their brace. “We know a girl who doesn’t wear the brace,” Ms Bullen said. “She won’t wear it to school because she doesn’t want anyone to know. “Her friends don’t even know. Anabel said she found it best to be open and let everyone know. “If people aren’t going to accept me for what I have, that’s their problem,” she said.